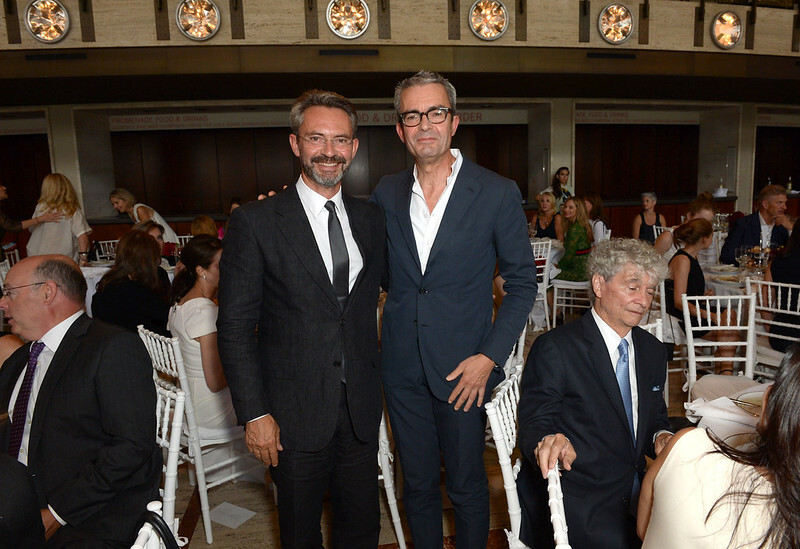 The Couture Council of The Museum at FIT honored Akris Creative Director Albert Kriemler with its 2016 Couture Council Award for Artistry of Fashion on Wednesday, September 7, 2016 at an award luncheon at the David H. Koch Theater at Lincoln Center in New York City. As has become traditional, this benefit luncheon heralds the arrival of Fall Fashion Week in New York. Albert Kriemler was selected to receive the 2016 Couture Council Award for his commitment to outstanding craftsmanship and his dedication to creating well-tailored, wearable pieces that blend luxury with functionality. His vision has contributed to the expansion of his family’s brand and attracted powerful women such as Angelina Jolie, Princess Charlene of Monaco, and former Secretary of State Condoleezza Rice. The Couture Council luncheon began with cocktails on the David H. Koch Theater terrace. Guests were then ushered into the theater’s promenade for a three-course luncheon, catered by Olivier Cheng. Bronson Van Wyck of Van Wyck & Van Wyck designed the flowers. This year’s luncheon co-chairs are Lisa Klein and Audrey Gruss.